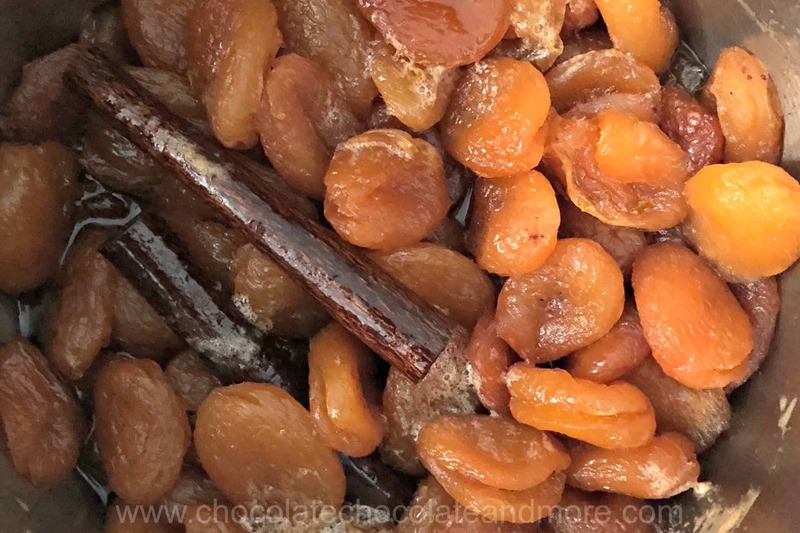 Mulled Apricots - Chocolate Chocolate and More! 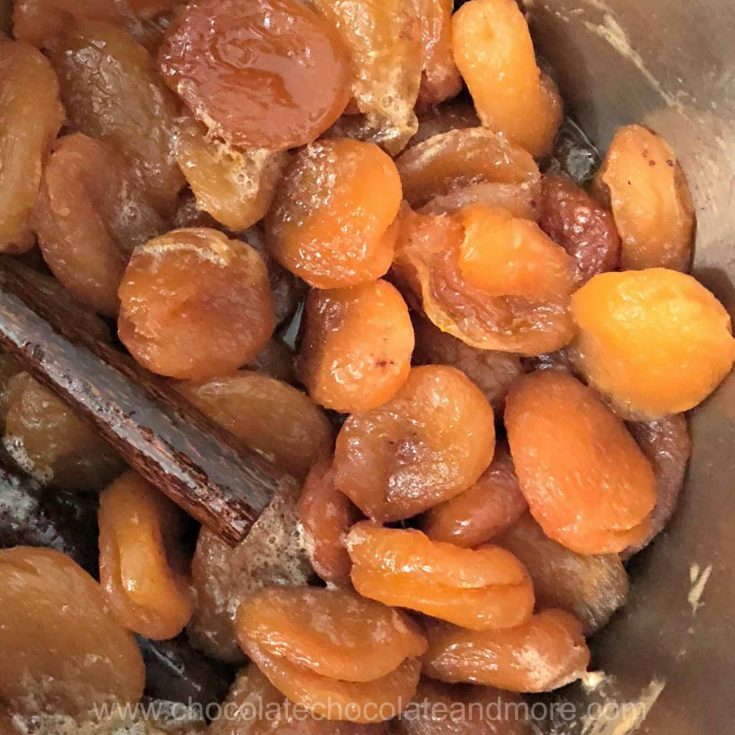 Simmering dried apricots in wine and Grand Marnier produces soft, flavorful apricots and a syrup that’s to die for! Make these mulled apricots for tarts, ice-cream toppings or just an amazing snack. On Saturday, a friend asked me to make an apricot tart for a special occasion. The problem is that apricots aren’t in season and even if they were, I couldn’t get fresh ones in Cambodia. I love to snack on dried apricots but they’re too tough to put in a tart. Typically I soak dried fruits in boiling water to soften them but this sometimes reduces the flavor. The tart recipe I found used wine instead but it had too much sugar. So I modified it. I also used Grand Marnier instead of orange peel. Grand Marnier is an orange flavored liqueur that gives wonderful flavor to baked goods. I like it better than orange extract so I often use it when I want orange flavoring in my baked goods. If you don’t have Grand Marnier, you can substitute orange juice. It takes about an hour to make these. During that time the alcohol boils off and you’re left with decadent apricot syrup and soft, flavorful apricots. Store the mulled apricots and syrup in your refrigerator. If you want to keep them longer than a week, you could can them. They didn’t last a week in my place. I had to hold back on snacking on them so I had enough for my tart. I used the apricots and some of the syrup in an apricot mascarpone tart. I ate the rest as snacks and ice-cream topping. Did I mention how amazing these are on top of vanilla ice-cream? Mix the wine, sugar and Grand Marnier in a medium sauce pan. Add the apricots and bring to a boil. Turn down to simmering and simmer for 50 minutes until the apricots are tender. If the apricots are not tender, you may need to add some water and continue simmering. You can use anywhere between 1 pound and 1.5 pounds of apricots in this recipe. I used 1.5 pounds but that doesn't leave much liquid by the time the apricots are soft.